Cantor’s Driving School offers driving lessons and driver training in all areas of Fort Lauderdale, Florida. Over 50,000 drivers have learned to drive with Cantor’s Driving School. Are you our next safe driver in Fort Lauderdale? 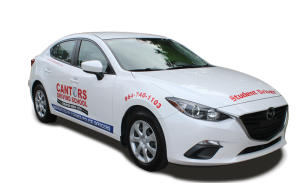 Cantor’s – The Driving School That Gets Results® in Fort Lauderdale. Over 50,000 drivers have learned to drive and successfully passed their driver’s license test using Cantor’s Driving School. Cantor’s Driving School uses only professional, experienced instructors. Cantor’s Driving School is a member of the Florida Professional Driving School Association and all Cantor’s instructors are Florida State certified driving instructors. When taking driving lessons in Fort Lauderdale, Cantor’s Driving School provides driver training on local roads such as Federal Highway (Rt 1), Broward Blvd, Andrews Ave, Davie Blvd, and Sunrise Blvd. For highway driving lessons, I-95 is the most popular main highway. Driving lessons can be conducted on roads in Fort Lauderdale neighborhoods like Cooper City, North Lauderdale, Wilton Manors, Oakland Park, Washington Park, Golden Heights and more. Teen drivers can be picked up at Dillard High School, Fort Lauderdale High School, Stranahan High School or any of the private schools in Fort Lauderdale. Click to find the closest DMV office to Fort Lauderdale for driver licenses, driving tests and ID cards. Cantor’s Driving School offers driving lessons in Fort Lauderdale including the zip codes 33301, 33302, 33303, 33304, 33305, 33306, 33307, 33308, 33309, 33310, 33311, 33312, 33313, 33314, 33315, 33316, 33317, 33318, 33319, 33320, 33321, 33322, 33323, 33324, 33325, 33326, 33327, 33328, 33329, 33330, 33331, 33332, 33333, 33334, 33336, 33337, 33338, 33336, 33340, 33345, 33346, 33347, 33348 and 33349. Use the Cantor’s Driving School contact form or call us at 954-740-1103 for further assistance with driving lessons in Fort Lauderdale. Cantor's Driving School offers driving lessons throughout southeastern Florida, including Broward County, Palm Beach County, Martin County, and St Lucie County for driving lessons.